They treated him like an outcast. Vietnam veteran Rafe Talltree was shunned by the small town of Shortcut, UT although he had never done anything to earn the town’s scorn. 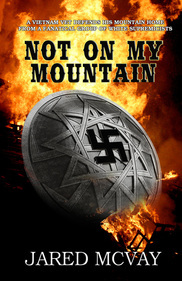 When a group of fanatical white supremacists led by a man who believes himself to be Hitler reincarnate invades the area and takes four teenagers captive, Rafe decides he’s had enough. Even though he is considered an outcast, but he can’t allow the hatred of small minded bigots to ruin the lives of others, at least not on his mountain anyway.